It wasn’t until recent years for sports betting to be legalized in several American states. These legislative decisions will have, and already do, a massive impact on the industry, media, sports teams, and local economy. Even in places where it’s not legal, online betting takes place and attracts users. There are approximately $1.8 trillion wagers made on unregulated markets worldwide. According to the data of 2014, over 80% of sports bets are illegal. The US have come a long way to this solution, as the Act itself was proposed no less than 27 years ago. The American Gaming Association counted that illegal wagering activities reached $150-billion per year. Legalization, as expected, opens a way to make the market even bigger. The American Gaming Association advocating the regulation of these markets counted that legalization in 40 states would generate $8 billion in local taxes and add $20 billion to the GDP. No need to mention how many employment opportunities will emerge. With regulating the market in several states, legal betting will cover about 10 percent of Americans. Experts predict the growth will reach up to half the nation being able to place bets by 2022. These numbers allow us to conclude that the economic benefits are huge. To go more specific, according to the Oxford University report, the industry will bring up to $14 billion to the GDP and will create up to 150,000 jobs with an average salary of $48,000. This is more than any other sphere connected to entertainment services could possibly bring. It’s important to understand that gambling involves a lot of money, and when the markets are regulated, part of it is going to enhance the economy of particular states and cities. Legalized sports betting will open many opportunities you wouldn’t think of in this regard. Apart from the economic impact, it will bring changes to sports media and, in general, the way people consume sports-related content. In terms of how people will respond, it’s obvious that sports viewing popularity will increase. Another thing is the expansion of sports-related advertising. Big social media and content companies like YouTube, Twitter, and Facebook see new revenue streams. Betting windows and ads will be practically everywhere. Sports outlets will benefit from this situation. Sports organizations themselves will earn something: the National Basketball Association (NBA) and the Major League Baseball (MLB) expect to collect a 1% fee on all wagers on their games. The chief executive of William Hill US (one of the first internationally recognized sports booking brand coming to America) claims that it will take a few years for the advertising money to boost channels like ESPN, Fox, and NBC. He doesn’t see the national advertising that much effective at the moment, but it’s just a matter of time. Speaking of the content itself, there will be more content in the media related to statistics, analytics, and current news. 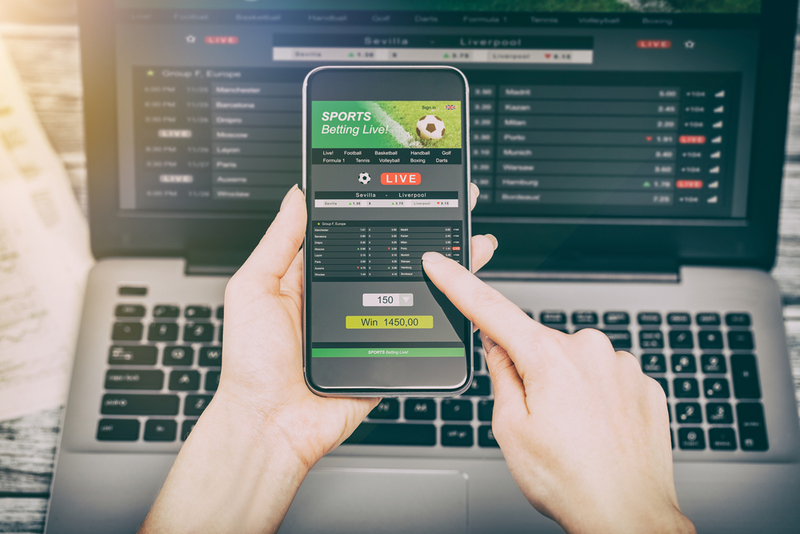 The shift is expected to happen: reporting for entertainment purposes is likely to be replaced by so-called production information aimed at helping people make better betting decisions. There’s already a significant request from sports fans to see more materials online and in printed sources, and media companies realize it. This activity is more about skill than chance, plus, it’s more entertaining and interactive as sports gambling. It’s not only about gathering different data on sports teams and their members’ performances – primarily, it’s a way of having fun with friends. Some people see legalization and intensification of sports betting as a way of increasing corruption in the industry. Amateur athletes, who are not paid for their performance, are considered to be vulnerable to corruption. Since this part of the industry is only starting to operate legally, there are not so many sportsbooks available. Many casinos that offer traditional gambling games have added a section with wagers on sports. It’s of vital importance to research the reputation of the platform (check other bettors opinions like BoVegas Casino review). There are already numerous options appearing: mobile betting applications are on the rise, as they represent a more convenient way to perform any actions. Many technological improvements are being developed in gambling in order to deliver a more profitable and enjoyable experience. The mobile market of sports betting is believed to become the largest one in the world. Fruitful partnerships will add to this process. The gambling company MGM Resorts International announced a deal with the National Basketball Association. Such investments from the biggest industry players will boost the potential of sports betting. What to Look for in Cat Food?